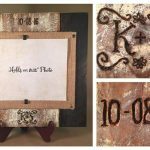 Handmade rustic home items, barnwood & pallet picture frames, wood slice art, reclaimed wood tables, tile mosaics & more. It’s so hard these days to find wood products made with high quality materials and that’s exactly our focus. Our products are made with love and often obsessive compulsive attention to detail. If we wouldn’t put it in our own home we certainly wouldn’t let you put it in yours! We love when you personalize the details of your order. Tweak this, change that color. Even if you can’t make an item yourself, putting thought into a gift makes it so much more special, and we’re happy to make your vision come to life! 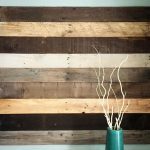 We work with reclaimed wood and other eco-friendly materials whenever possible. We take items that normally would be tossed into a landfill and make beautiful pieces that will last for generations. We even try to recycle our boxes to ship your items. Many of our items started out as simple gifts for family and friends or unique items for our own home, but we like making them so much we thought we’d share them with you. 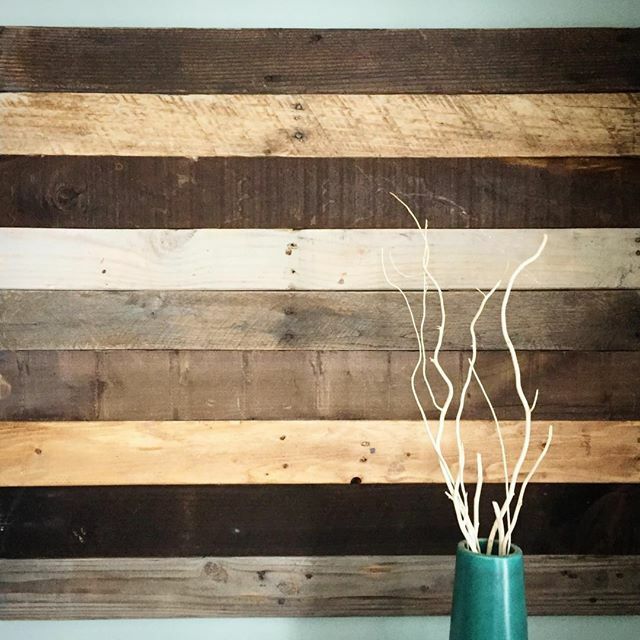 We use barnwood and pallet wood in most of our projects, typically weathered pine, hardwood or hemlock. 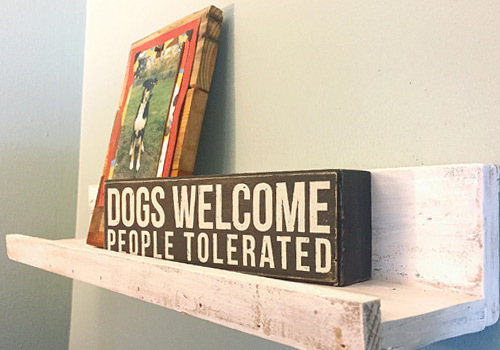 Each piece may vary from the photos in our store listings, which is what we love so much about the character of reclaimed wood. What kind of finish do you put on the wood? Our wood finishing options include custom colored stains, homemade chalk paint, paint distressing, and wood distressing. We typically use a matte finish polyurethane or furniture wax (dark or clear) to seal the wood. Some of our frames have a glossy polyurethane finish, too. Can you personalize / customize my order? Many of our items can be personalized with different colors or custom text. Check our individual listings for more info. 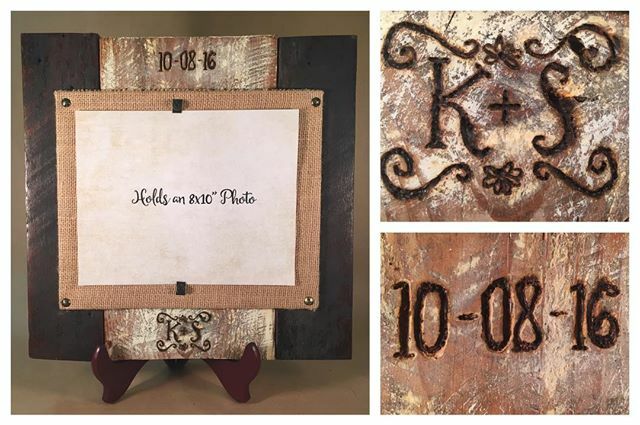 In the past we’ve customized pieces with burned wood emblems, carved wood designs, custom name stamping, wood and burlap/fabric text transfers, and hand painting. We love custom orders — let us make something special just for you 🙂 Send us a message to discuss! Will my item look exactly like the photo? Do I have to pay shipping on a local order? No. If you live in the Scranton PA / Wilkes-Barre PA area you can message us to arrange a pickup. We live in Old Forge. If you’ve already talked to us, enter the coupon code NEPALOCAL when checking out in our Etsy store to remove the shipping fees. This looks amazing!! Far exceeded my expectations! My cousin and her fiancé absolutely love the frame!! 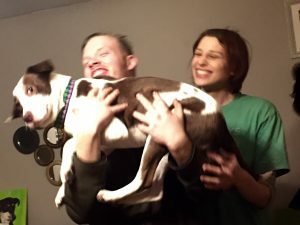 They thought it was the sweetest gift and can’t wait to put a photo in it!! Thanks again!! Wonderful sellers to work with!! Excellent communication and the piece is exactly what I was hoping for!! Thank you! 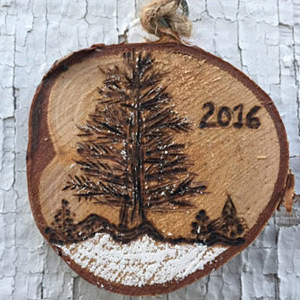 Thanks for the beautiful ornaments and great service. We’re planning to visit our daughter (teaches on a military base in Italy) for Christmas and plan to bring these for her friends. I know they will be loved. Of course, I’ll save a few for our tree. 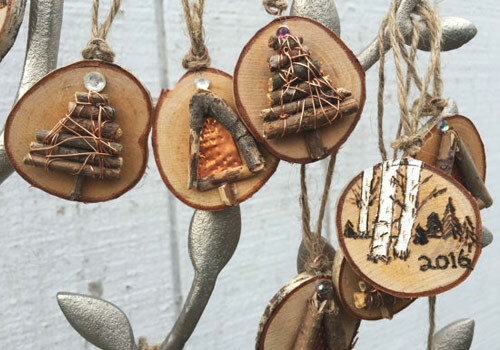 Join our mailing list to receive a 10% off coupon to our Etsy store! 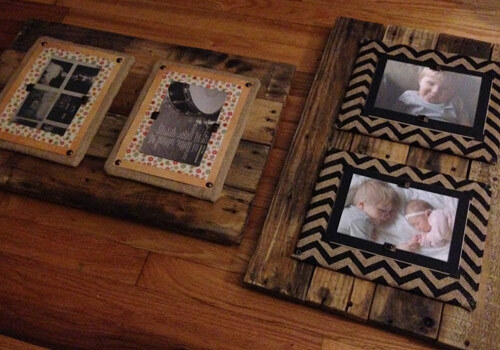 Our frames are made from reclaimed pallet wood, barnwood, and other salvaged materials. Rustic, hand painted, wood burned birch slices. Mosaic ornaments tiled with glass and gorgeous China. 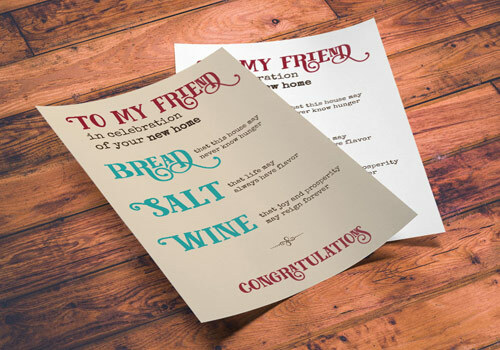 Printable home blessing poems and frameable burlap monograms to commemorate your family and 4-legged friends. A lot of our items can be personalized just for you. We love custom orders and are happy to discuss your custom request with you. Just fill out the form below to get in touch. Old Forge is near Scranton & Wilkes-Barre PA, and part of the Northeastern PA (NEPA) community in the beautiful Pocono Mountains.